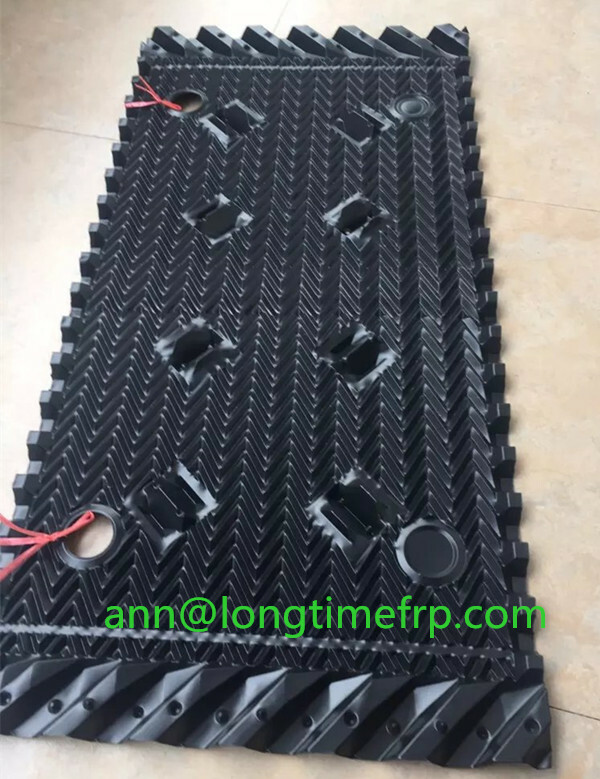 The principal of operation of cooling tower fill is to put as much water surface area in contact with as much air as possible, for the longest amount of time possible. The following picture, the width is 500 mm, the length is 1230 mm. Thickness 0.27 mm-0.4 mm, the material is PVC. 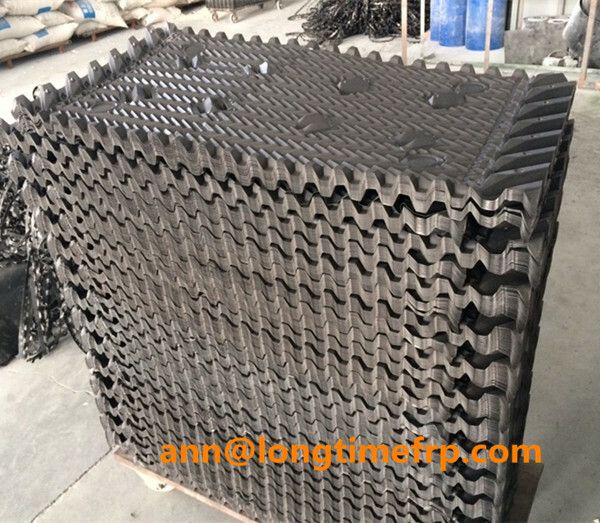 It is suitable for crossflow cooling tower and is hanging type.